ASRock H2R is a portable travel router with IEEE 802.11n standards. When users are traveling or staying in hotels, it's pretty easy for them to share the LAN service with their family and friends. 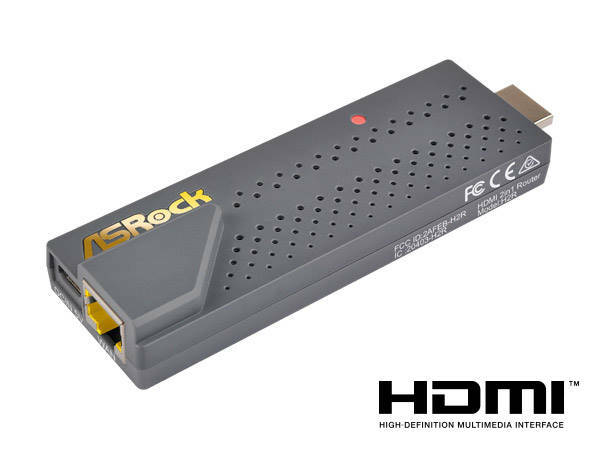 H2R is also a media streaming dongle that can be plugged into the HDMI port of your TV. It allows users to cast their favorite TV shows, movies, music, sports and games from mobile devices to the TV. H2R is fully compatible with various devices and different operating systems like iPhones, iPads, Android phones and tablets, Macs and Windows laptops. 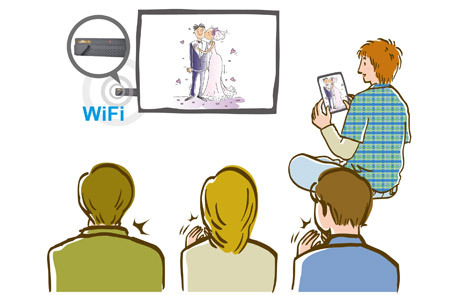 Most important of all, video streaming and other router functions can be used at the same time. Compliant with IEEE 802.11n 2T2R specification. 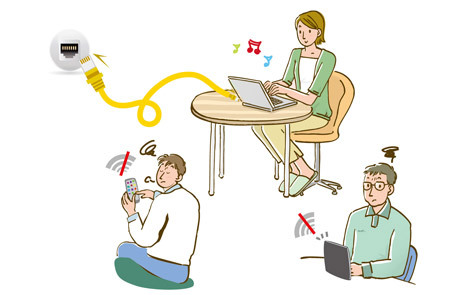 The Travel Router (Access Point) function allows you to convert broadband into WiFi signal. Download the EZCast app on different platforms. 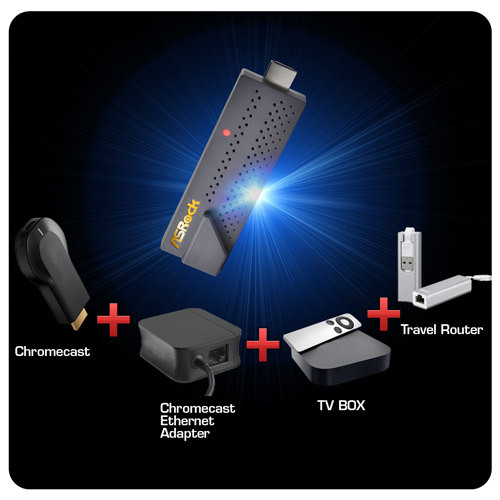 HDMI dongle & travel router functions can be used at the same time. H2R is a powerful access point for sharing Ethernet connections over WiFi. It has 2T2R internal antennas with IEEE 802.11n specification, supporting up to 300Mbps bandwidth. Only one device may be connected to the internet with an Ethernet cable. Just connect an Ethernet cable and instantly create a secure wireless network environment for all of your devices. 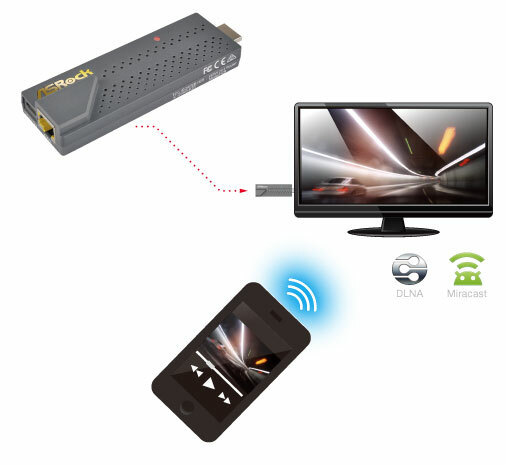 With H2R HDMI dongle, customers get differenthave a better users experience while sharing photos/videos on a screen. 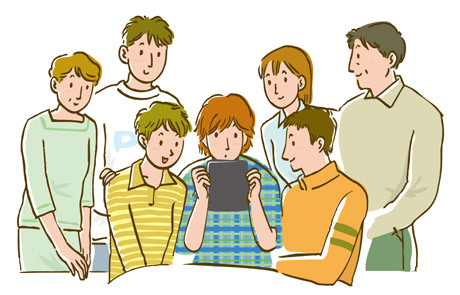 Your friends and family had to huddle up to watch photos on a tiny screen. 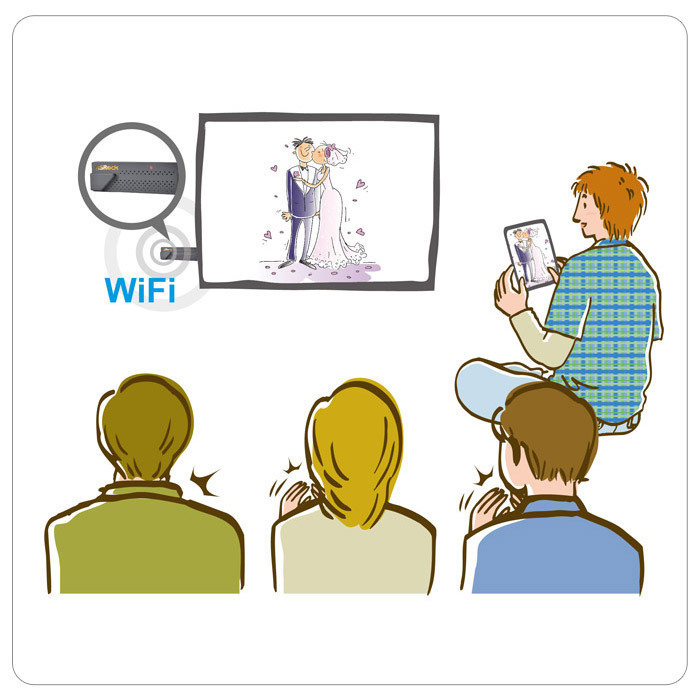 Plug H2R to the HDMI port on your TV, then start streaming photos or videos from your smart devices to your TV. 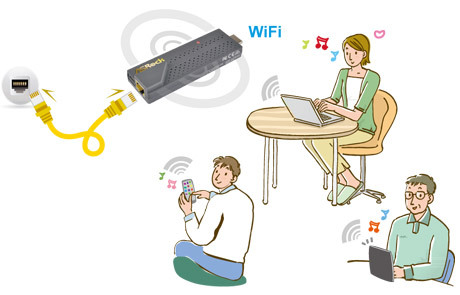 Users are able to use H2R as a travel router and Miracast/DLNA (HDMI dongle function) at the same time! Click here H2R APP for an introduction and details on how to setup H2R.